Dr. Veermani Prasad Upadhyaya has just brought out his volume 'Lights on Vedanta', I write these few lines as a foreword most gladly not only because he happens to be a distinguished colleague on the staff of this University, but especially because I am of opinion that a work on this difficult subject, which needs considerable elucidation, should be brought to the notice of the students of Darsana, who seek light on Vedanta. A casual reading is enough to make it clear that the work is the result of intense hard work and devotional study of the subject spread over years, during which not only views and opinions expressed by the various commentators have been weighed and scrutinized, but the original texts gone through and accurate knowledge obtained therefrom, The study is thus deep as also extensive. 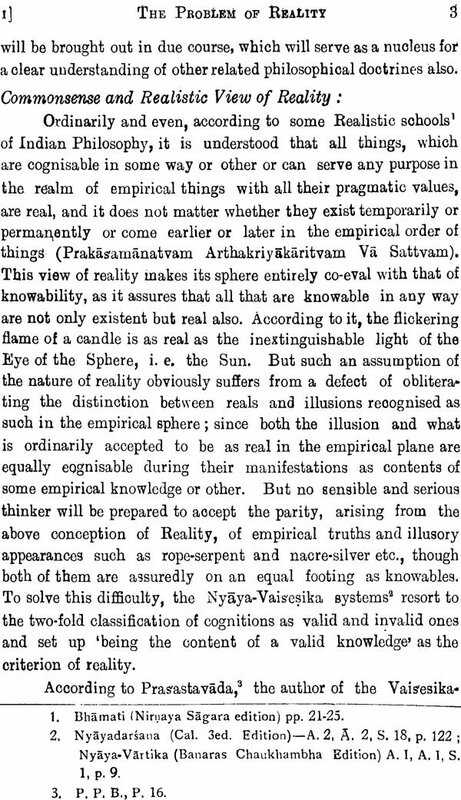 The quest of reality and the understanding of its nature have been the headache of philosophers from the time man began to probe into the 'how and why' of his existence. Dr. Upadhyaya in his chase for the same has not merely contended himself by repeating the views of various authorities, but presented in his characteristic style his own understanding of the nature and problems of reality. He sheds some new light not seen so clearly before in almost every chapter. S'ankara is a landmark in the clear enunciation and elaboration of the system of Philosophy known as the Advaita Vedanta. He set the mind thinking vigorously and the question has often been posed by scholars-what after him? Has there been a super-structure on the same or has knowledge remained stagnant at that? Dr. Upadhyaya has not only answered that but illumined the hitherto dimly lit epoch of post - Sankarite period in the development of Vedanta. Suresvara one of S'ankaras's followers and believers of his system has not only defended S'ankara's theory but tried to expound his fundamental principles. In fact he has given to S'ankara's Advait philosophy an original exposition known as Abhasavada. 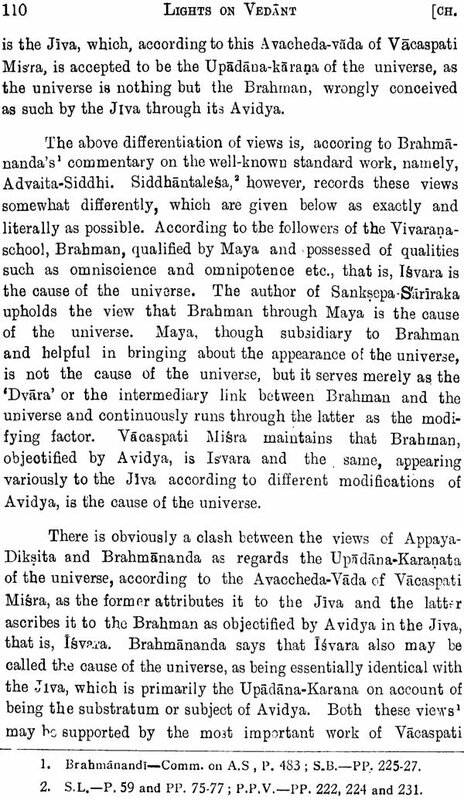 To elucidate and amplify Suresvara's Abhasavada has been another intellectual attempt of the present work of Dr. Upadhyaya. To dive into the mass of Suresvara's literature, elucidate it and interpret it has been a difficult task. Dr. Upadyaya has vigorously defended- Suresvara. To claim any originality of thought in the sense of enunciating a new theory is a tall claim, which no Indian philosopher has ever made. Everything seems to find roots in the literature of the hoary past and the originality every time has lain in weaving a new web from the old threads enabling in a better and clearer understanding of that, which has seemed uninterpretable hitherto. The author through his special mode af expression has made a solid contribution, which will carry the knowledge of the students of philosophy of Vedanta far and deep. 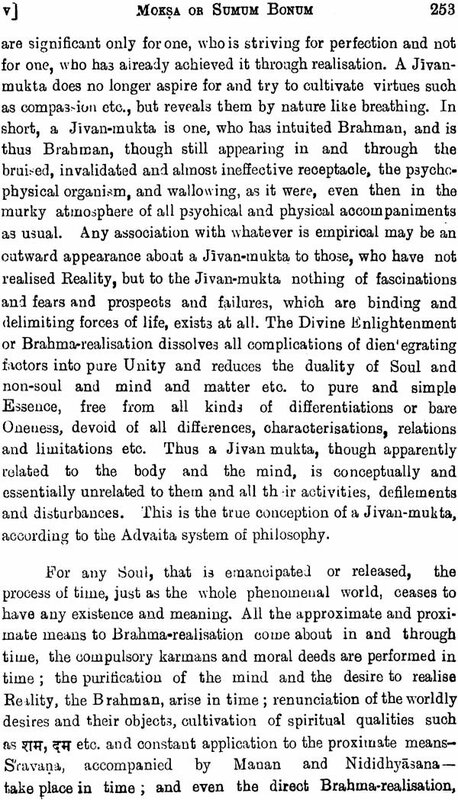 There will be differences of opinion on the views expressed herein, as is but natural in philosophical matter, but I have no doubt about that the learned work will inspire not only the Darsana-sastrins of the Sanskrit Department but also scholars of modern philosophy, who are equally keen to make further contribution to the understanding of the vexed problems of Advaita Vedanta. India has produced many systems of philosophy and even one system has been interpreted in several ways so as to give rise to numerous schools on the whole. 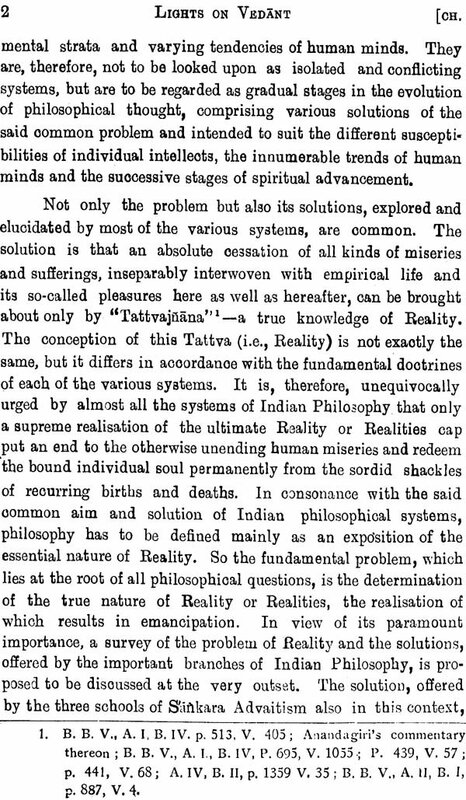 Attempts have been made at presenting the fundamental doctrines of these systems in English by many European and Indian scholars, who with a gift for lucid expression and admirable command over the language have succeeded in popularising the real spirit of the general phases of these philosophical thoughts. The Advaita view, as enunciated by the illustrious founder of the school, namely, Sankara, has been brought out in general and its importance among the various systems of Indian Philosophy also has been envisaged and emphasised. But it remains still an unfulfilled task to set forth the salient features of differences, worked out by the subsequent interpreters and followers of Sankara. Without the valuable works of his disciples and followers, who expounded his thought in various ways, the Advaita system would not have occupied the important place, which it does now. 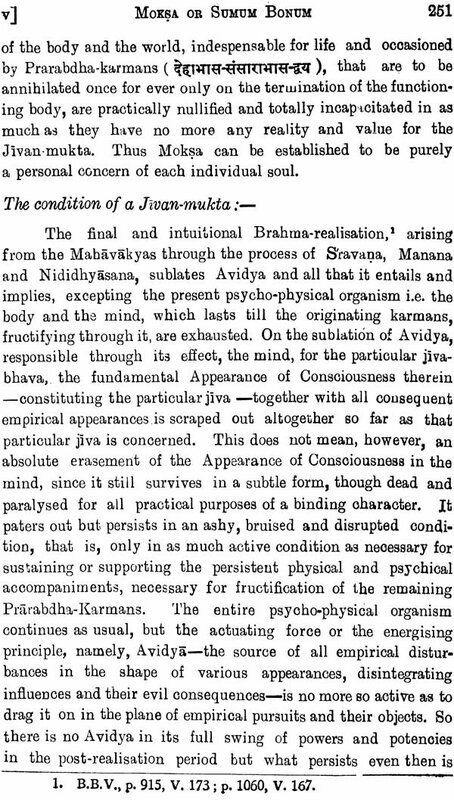 It is a matter of supreme satisfaction that in recent years a large and increasing -improvement has been manifest in the general taste of the reading public and interested scholars for the Advaita system of philosophy, which is responsible for new expositive works constantly pouring out in the field. It is universally admitted that the mass of the Advaita literature grew rapidly and enormously in the Post-Sankara period as a result of keen competitions going on between different schools of Vedanta and of controversies tenaciously carried on by their staunch adherants by way of charges and counter-charges. It is no doubt a fact that for those, chiefly interested in philosophical thoughts, argumentation or wordy warfare has no great value and what is of supreme importance is the principal tenets of the system. Nevertheless, the work of the post-Sankara Period, which are replete with the said kind of literature, cannot be ignored, since in it are embedded the development and the interpretations of the underlying principles of the Advaita system. Sundry minor metaphysical controversies, which once intensely agitated the keenest intellects, may now possess only a historical interest for the superficial readers. Bu t to bring the doctrines, wrapped up in them, into proper light is the need of the day. As the general tenets of the Advaita system have already been worked out and lucidly presented in English by eminent scholars such as Dr. S, Radhakrisbnan, Dr. Das Gupta and others. So what we more particularly need at present is an author-wise specialisation in the works of the prominent Post-Sankara Advaitins. An attempt in this direction, that is, at the presentation of the philosophy of Advaita with special reference to anyone or more of the Post-Sankara Advaitins cas been already started by Dr. Asutosa Sastri and Dr. T.M.P. Mahadevan, The above-named writers, however, have made an exposition of the Advaita doctrines as developed and expounded by writers of a much later period among Post-Sankara Advaitins, But nothing critically valuable has been done so far about the immediate successors of Sankara, who are traditionally accepted to be his direct disciples and exponents of new schools. There is a yawning gulf between Sankara and his direct disciples, on the one hand, and the great names in the history of Advaita such as Vidyaranya , Madhusadana Sarasvati, Citsukhacarya and others. So an exposition of the Advaita philosophy as interpreted by Sankara's direct successors remains an unexplored field. 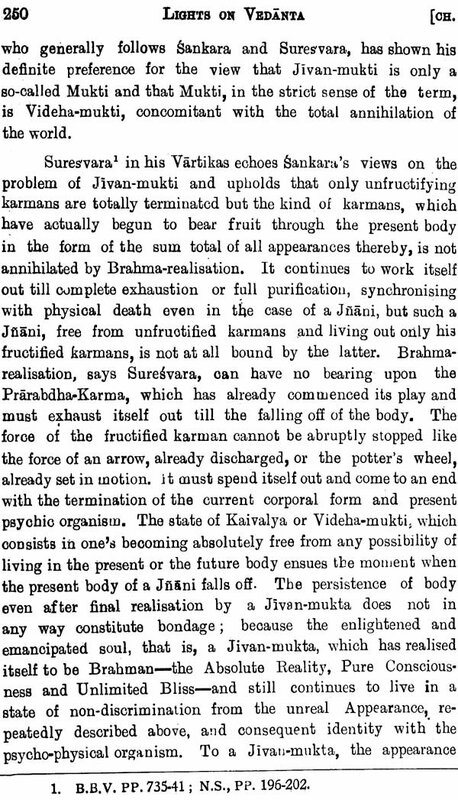 0 f all his direct disciples, traditionally admitted to be so, Suresvara figures as the most prominent, as he has left behind a number of works, which, furnishing sufficient data, provide enough scope for reconstructing a complete system of the philosophy in the light of his most substantial and valuable contributions to the Advaita system. No doubt many of the special features of his views have become almost shrouded in the subsequent overwhelming growth of the Advaita literature, still his importance remains unquestionable when one takes into account the great progress effected by him in the Advaita system through his marvellous interpretations and original contributions as the first exponent of the Abhasa-theory. Although much of what may be/treated his original contributions may strike now as something not unfamiliar and mostly as common views of Advaitins by reason of their being actually incorporated and easily available in later works, yet it is an endeavour worth undertaking to examine critically all he works of Suresvara side by side with those of other exponents of Sankara monism and delineate the important aspects of the Advaita philosophy as revealed through them by way of interpretation of the Advaita system. 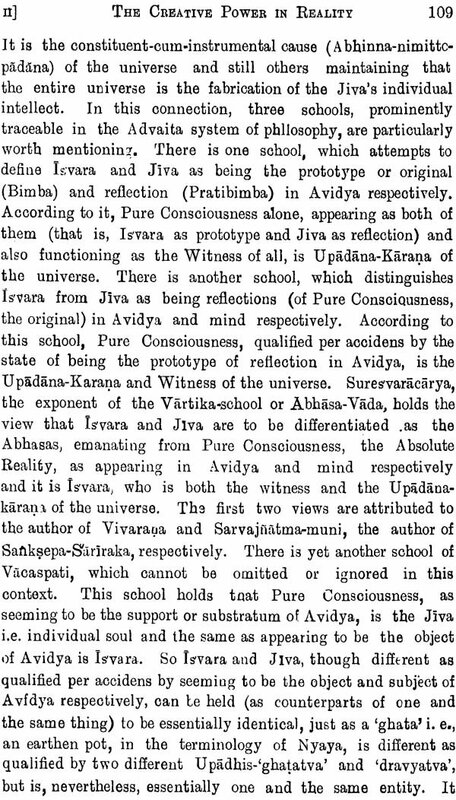 This attempt will not only save the trouble of scholars, unavoidably entailed in wading through the said voluminous works in order to deduce find decipher their original contributions to the Advaita system but will also secure an easy access to the secrets of the system, which have been here and there disclosed by Suresvara and other Advaitins in the course of their convincing and intelligent interpretation thereof. Suresvara occupies a very important place among those followers of Sankuru, who successfully tried to defend his system from the attacks of his opponents and expound the fundamental doctrines thereof in a very convincing and marvellous manner. It is, therefore, that he is looked upon with great reverence by all the reputed Advaitins of the Post- Sankara Period such as Vacaspati, Madhusudana Sarasvati, Citsukhacarya, and others, who themselves are regarded as master minds in Sankara Advaita philosophy. 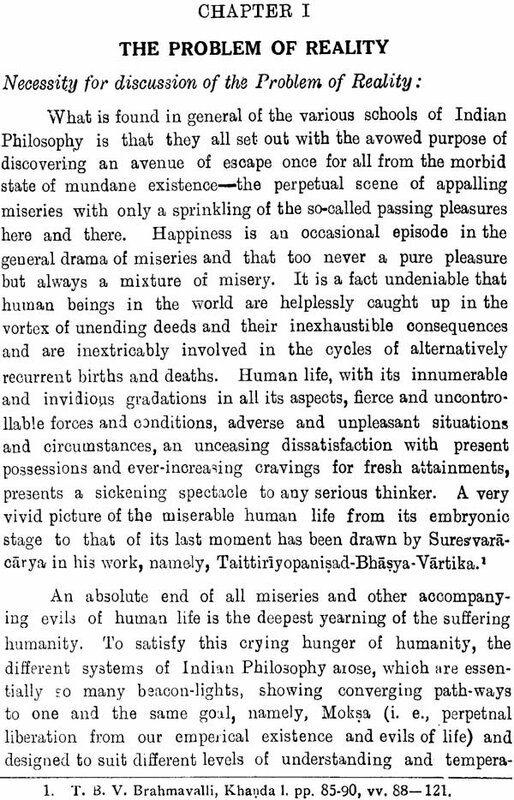 The very fact that these writers quote him in their important works clearly esta blisbes the priority of Suresvaracarya as well as the authoritativeness of his works. Moreover, he is recognised as one of the original writers of Advaita Philosophy in as much as he represents a special school, which is known as '. Abhasa-Vada', in interpreting the essential doctrines of Advaitisrn. The fact that Suresvara considered it to be his chief task to interpret, amplify and vindicate the thoughts of his divine master, Sankara, is evident from his own verses. When we recognise Suresvara and other interpreters of Sankara Advaitisa as original writers in the field of Advaitic Literature, we do not forget that they merely claim to interpret in their own way (he thoughts of their predecessors in Advaita philosophy. 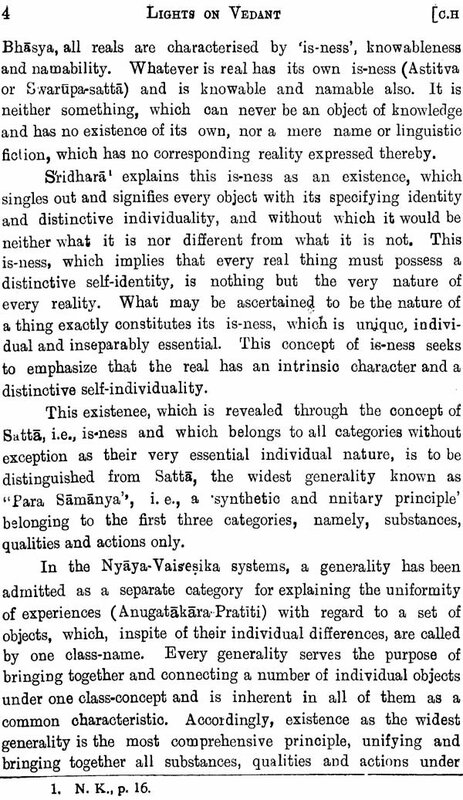 If one denies originality to them on the score that they are mere interpreters, one will have to deny the same even to Sankara, for he too claims to formulate and represent systematically the Advatic thoughts to be found in the Upanisads, the Gita and the Brahma-sutras. No Hindu philosopher would venture to commit the sacrilege of presenting some truths as absolutely new and original, since everyone necessarily traces his thoughts to the Vedas and claims only to expound the valuable instructions and doctrines contained therein. I had to devote several years to the proper study and assimilation of the work. The main consideration, constantly looming large before my eyes in this endeavour of mine has been to elucidate and amplify the Abhasa-vada, which is regarded as the original contribution of Suresvaracarya and has not been analysed and explicated as yet, simultaneously with the other two equally important schools of interpretation, namely, Pratibimba-vada and Avaccheda-vada so that a detailed and comparative study of all the important doctrines, involved in Sankara Advaitism, may be possible through the perusal of this one text. 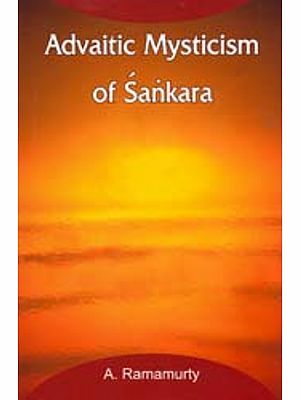 To these have been added the views of later Advaitins also on the various topics with the result that the text on the whole presents a very lucid and comprehensive account of all the salient features and aspects of Sankara Advaitism so far as its doctrinal side is concerned. Thus the present work seeks to fulfil a great desideratum felt in the field of Sankara Advoita system of philosopny. I also propose to make an apology here that in weaving together the subtle threads of different views, scattered here and there in the works concerned, I had sometimes to develop them in such a manner as might lead one to misunderstand what is mere exposition to be pure supplementation. But it may be assured with the fullest conviction that nothing more than what was actually and exactly gleaned from the thorough perusal of the entire works of the great names in the history of Sankara philosophy has been put together as their original contributions throughout this work. The above-noted fact has also stood in the way of its proper documentation, for citations either prove too copious to be incorporated in the foot-notes or do not exactly bring out the intended conclusion if wrested away from the whole work and studied separately as isolated and independent extracts. This much it may be emphatically averred that this work is the net result of repeated studies and thorough assimilation of all the important works of Sankara Advaita Philosophy, analysed closely and examined critically. I may be pardoned also for making repetitions of certain central doctrines, which I have deliberately done for two special reasons. In the first place, in doing so I have followed the Upanisadic method of treatment, in which, according to the six-fold rules of exposition and interpretation, laid down by the Mimansakas that is, iteration is considered to be a very important factor in as much as it draws the attention of the reader to what are intended to be discussed as the main doctrines or tenets in the treatise. Secondly, it serves the purpose of relating the central doctrines or views to each of the topics of discussion in its different relevant aspects. I crave pardon also for purposely avoiding the treatment of historical problems such as Mandana-Suresvara equation and Visvarupa-Suresvara equation etc., as they fall outside the desired scope of the present text, which is intended to present a detailed treatment of only the doctrinal side of the Sankara. 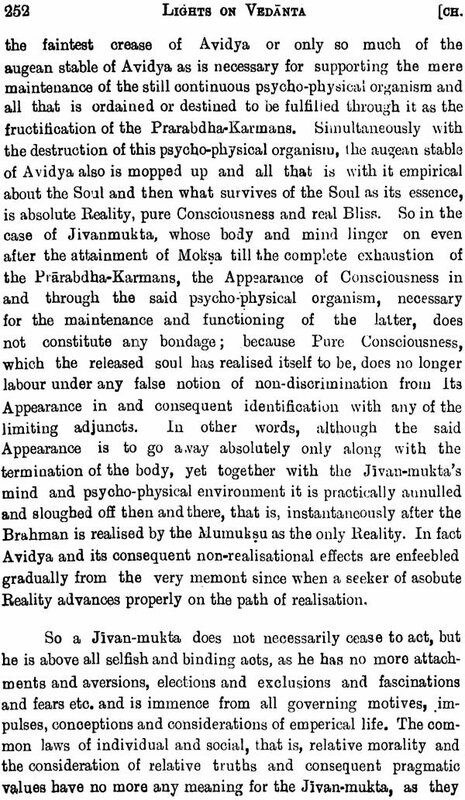 Advaitisrn as expounded by Suresvara and others. 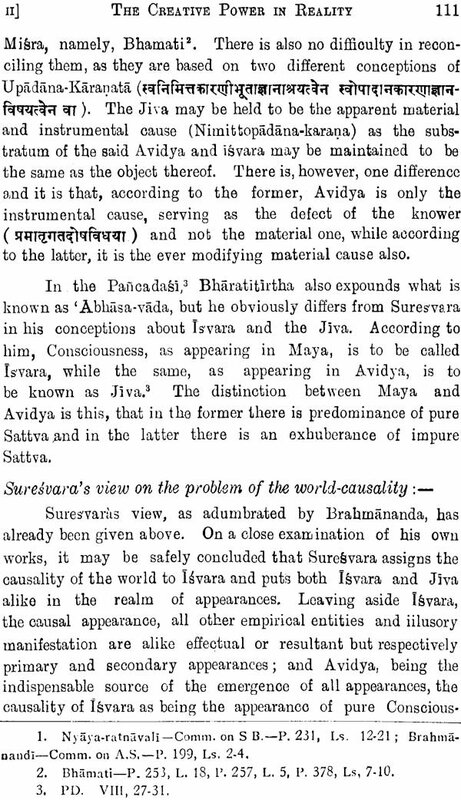 This much, however, may be unhesitatingly stated that a perusal of the entire works of Suresvara leaves no room for any doubt about the view that Mundana and Suresvara were two distinct and prominent personalities in the field of the Advaita literature, the former being a predecessor to Sankara and differing from him in views on many topics of the Advaita Vedanta and the latter being his contemporary and disciple and a staunch follower and supporter of his views. Lastly, I regret that ample misprints have unavoidably crept into the text. For these I crave the indulgence of the render.